BlackBerry Expects to Lose $400 Million in Fiscal 2014. What Went Wrong? BlackBerry, the once lustrous Waterloo, Canada-based technology firm, is apparently facing a dim future. In the latest blow to the already ailing phone maker, a filing with the Securities and Exchange Commission bumps the company’s estimated loss up to $400 million for the fiscal year 2014 from the recent forecast of $100 million. The projection exacerbates BlackBerry’s previous setbacks. The company announced last month the nearly $1 billion in losses due to unsold Z10 phones for the third quarter and the more than 4,500 layoffs. The board of directors is eyeing the most viable recourse for the time being: a potential buyout worth $4.7 billion by a Fairfax Financial-led consortium to privatize BlackBerry. Due diligence is expected to wrap up in November. All this debacle leaves the public wondering about what has brought BlackBerry to its unthinkable collapse. From the start of its operations, then Research In Motion knew it had a limited base of customers, mainly enterprises and business professionals. What it probably overlooked was the potential of the other segment of the market – the consumer end – to eventually drive the smartphone industry, which is now dominated by Apple’s and Google’s platforms. The Canadian phone maker has grown too complacent with what prestige it achieved from the days when BlackBerry devices rocked the corporate world. It, however, failed to recognize the demands of the time, that innovation is the key to sustaining its momentum, that users need more than mere communication devices, they want ingenious computing technologies. And so BlackBerry admitted that it has lost grip on the emerging markets where it once pinned its hope for growth. It’s never beyond the company’s sight that the growing applications platforms such as the iTunes, Google Play and Windows Phone Store have been luring majority of the larger consumer segment into using mobile devices that run iOS, Android and Windows Phone. But the company downplayed the trend, consequently biting the dust in the end. In May, the U.S. Defense Department moved to authorize the use of Z10 handsets and Samsung’s devices that carry its Knox security software, ending the long years of BlackBerry’s monopoly over the federal employees. The approval on other devices for government use has since sent shivers down BlackBerry’s spine. It not only widened the option for the feds, the authorization also pitted the company in a cutthroat competition. 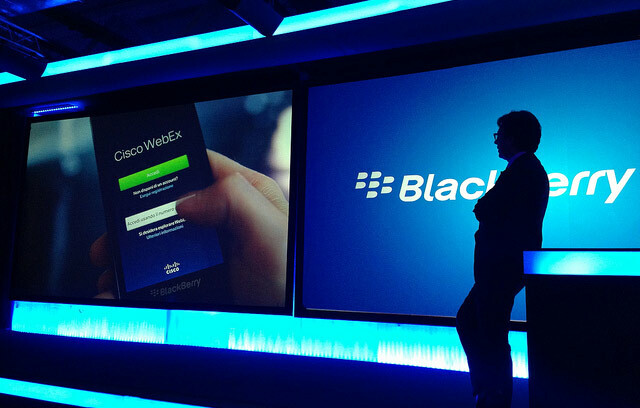 Even in BlackBerry’s presumed turf, a threat looms. Companies are increasingly adopting the bring-your-own-device culture, allowing employees to use their personal gadgets at work. As BlackBerry struggles to turn the company around, Apple and Google are on their way to capitalizing on this promising market trend.